Chiropractic care is a safe, natural alternative to medical care that promotes optimal health of the central nervous system. Dr. Donato’s goal is to clear the body of any interference that may be causing your pain and discomfort. By locating restrictions in the nervous system and the meridian system, she can perform specific adjustments that allow your body to flow freely and at the highest level possible. Thompson Technique – This technique uses comfortable drop piece adjustments to address biomechanical dysfunction as related to neurology. Leg length checks are utilized as a way of assessing where the subluxation is located, and specific adjustments are performed accordingly. Webster Technique – This technique can be used on any walking individual to assess and correct pelvic mechanics and optimize neural function. The goal of this technique is to restore movement to the pelvic joints and allow surrounding musculature to release from contracted position, making the pelvis increasingly mobile. 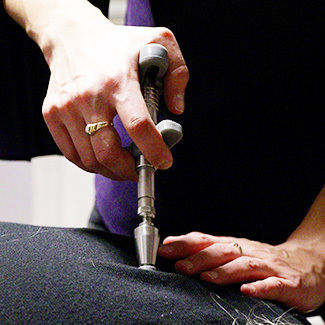 Activator Method – This technique relies on a specific handheld device that administers a safe manipulation to any joint in the spine. 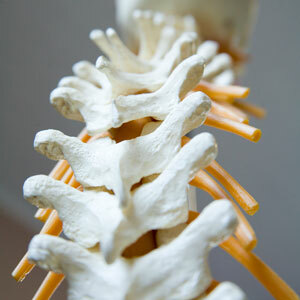 Because it is very gentle, it is a great tool to use on new patients who are newer to the chiropractic experience. Similar to the Thompson Technique, it also utilizes leg length checks to precisely analyze subluxation. All of the techniques that Dr. Donato performs are gentle in nature. Several of her chosen adjustment methods even prevent the sounds one typically associates with a Chiropractic adjustment. However, if a different technique is a better match for your care, do not be afraid of the corresponding sound. The noises that we perceive as “cracks” are simply our joints releasing built up gas. The correct term for this is called a cavitation and they are perfectly safe. Often patients report these to be quite relieving. Your health is Dr. Donato’s top priority, and she hopes to provide relief in a calm and comfortable environment that leaves you wanting to come back for more. Take the first step and contact Well from Within Chiropractic today.